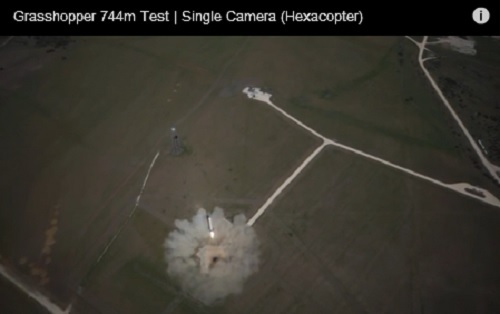 SpaceX has released spectacular video of the latest test of its vertical take-off and vertical landing (VTVL) Grasshopper which reached 2,440 feet (744 m) altitude – the highest flight yet – on Oct 7. Like some of the latest ‘hops’ the Grasshopper was filmed from a single camera hexacopter which appears to have been hovering at around 2,000 feet. 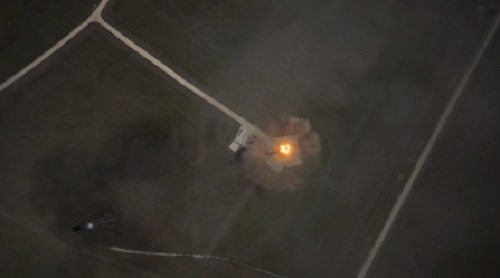 The video shows the Merlin 1D-powered Falcon 9 first stage tank passing by the hexacopter before getting much closer to the camera during the descent. 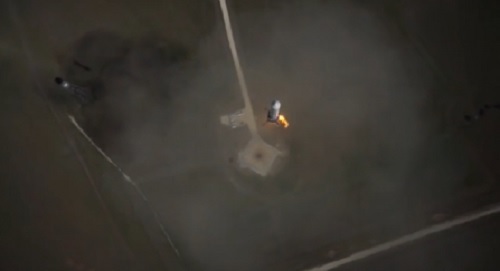 The final phases of the flight also show significant amounts of flame burning alongside the vehicle and through the legs attached to the support structure, in addition to the normal exhaust plume from the vehicle’s single rocket engine. 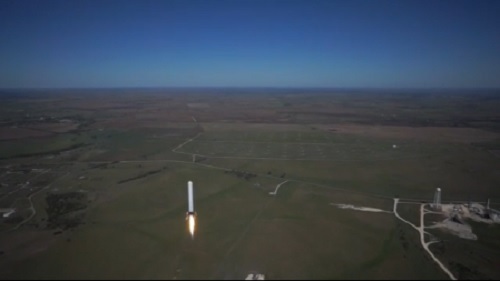 As with previous tests the latest flight was conducted in McGregor, Texas. Up until now the demonstrator had flown to a height of 820 feet and included a lateral transfer of some 330 feet. In coming months SpaceX is expected to move onto tests of a larger version of the Grasshopper also dubbed by SpaceX founder Elon Musk as Falcon 9R (re-usable). Instead of a single Merlin 1D, the v1.1 successor will have nine -1Ds. Testing will be conducted at a specially constructed site at Spaceport America in New Mexico. The VTVL is designed to test the technologies needed to return a rocket back to Earth intact instead of burning up on atmospheric re-entry. The recent Falcon 9 Heavy flight from Vandenberg AFB, Calif, also included a first attempt at slowing the first stage. 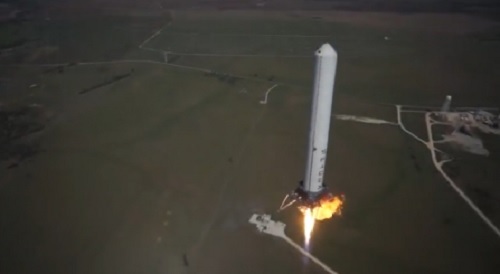 A SpaceX Grasshopper rocket launched 744 meters, or 2,440 feet, into the air and landed perfectly intact on Oct. 7, 2013. This is no small feat, considering the rocket in question is the same height as a 10-story building. The SpaceX Grasshopper Vertical Takeoff Vertical Landing (VTVL) vehicle is designed to test the technology required to return a rocket back to Earth in one piece. 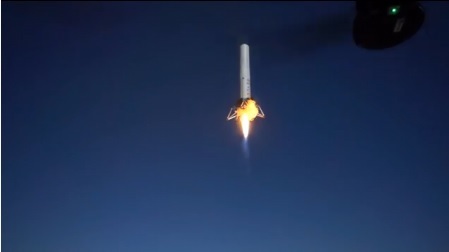 The largest VTVL ever launched, the Grasshopper features a Falcon 9 first stage, a single Merlin 1D engine, four steel landing legs with hydraulic dampers, and a steel support structure. As the name implies, the goal of the Vertical Takeoff Vertical Landing vehicle is to return a rocket to the pad it launched from, unscathed and ready to be used again. One of the goals of SpaceX is to make rockets reusable, which will cut costs for space travel and, in turn, allow for the exploration of space not to be limited solely to astronauts. In addition, this reusability will revolutionize manned space travel and allow for human habitation of other planets. To break down what the cost of space travel in a reusable vehicle would amount to, here are some numbers. 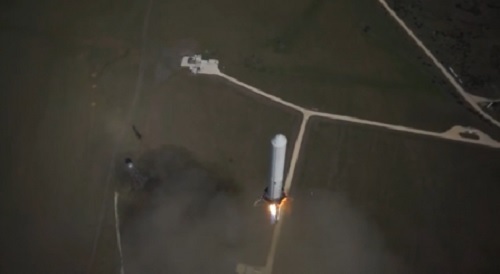 The Falcon 9, the rocket inside of the Grasshopper, has a list price of $54 million. The cost of fuel for each flight, however, is only about $200,000 — approximately 0.4 percent of the total. Since the reusable rocket only needs to be built once, most of that list price is already paid for once production is completed. 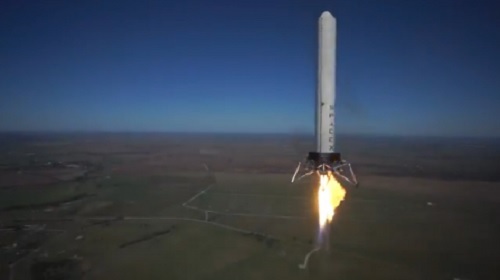 As stated by Musk, SpaceX is inspired by the reusability of the commercial airline model. A typical commercial airliner costs about the same amount of money to produce as a Falcon 9 and can make several trips per day, and thousands of trips over its lifetime. 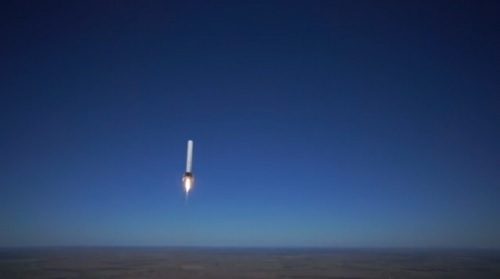 This reusability is what SpaceX hopes to achieve with its rockets. 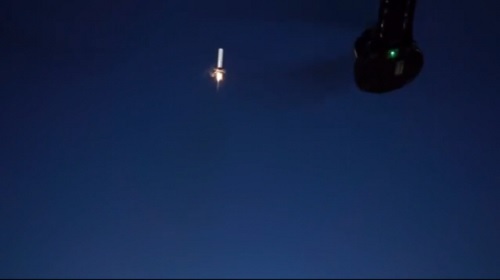 The test launch done recently with the Grasshopper VTVL is a monumental step towards achieving this goal. The test, conducted at SpaceX’s Rocket Development Facility in McGregor, Texas, lasted 78.8 seconds and marks the highest point a rocket has been launched and successfully landed. SpaceX has future tests planned for the Grasshopper VTVL, with a goal height of 1,000 meters, or 3,280 feet. The idea of reusable rockets makes the dream of space travel for the everyday person seem within reach. If this program cuts costs of space exploration by a hundredfold, perhaps the colonization of Mars really will happen during our lifetime. As SpaceX continues to develop and test this technology, we can only wonder if we will someday join the astronauts in the stars.